"For two years after my back surgery, I was a mess. I wasn't eager to see Paul Gordon. I'd seen so many people who hadn't helped. But Paul is really good. Even though my pain is not completely gone, I am a different man. I've returned to work. I recommend him to everyone." Throughout this website you have seen nice words written about me and, as you read down this page, you will see some more. I want to be clear however, not all people who see me are success stories. For that reason I see a new client for one to three visits. After that time we will both have an idea about whether we will be able to make a significant difference. If we think we will, we’ll create a strategy for moving forward. If not, I will recommend to you someone I think can be helpful. As I write in the section MY GUARANTEE, I make a practice of knowing who are the best neurosurgeons, massage therapists, chiropractors, yoga teachers, Reiki healers, in the area. If I can’t help you, I will try very hard to find someone who will. "The most amazing thing about Paul is his ability to understand structural patterns. He just looks at you and can tell what is going on – not only what the problem is but what may be causing it. He says "it's just experience" but I think it's more than that. Paul doesn't feel he has all the answers and is very willing to refer and work with other professionals. He can talk the language of traditional medical practitioners like surgeons and neurologists as well as alternative people like massage therapists and Pilates teachers. Paul Gordon is really unusual: a skilled healer of the first degree." "I've suffered from anxiety most of my life. Paul took one look at me and was able to tell how I change my body to protect myself. I've done lots of therapy and it's helped but Paul helped most. He showed me how the anxiety overwhelms me and how if I can just feel what it's going on, I can deal with it a little bit at a time. He doesn't make demands or push me. He's really respectful. He just gently shows me how to let go. I don't know how he does it (although he has tried to explain it many times) but whatever he does – it works." "I've been playing hockey since I was kid. Before I worked with Paul Gordon, I could skate. Its lots more fun now. These days I can glide." "I am a professional dancer, so topics such as centering, balance, harmony, emotions, truthfulness, being in the moment, communication and, of course PASSION are all part of my exploration of dance and life. No book I ever read can compare to the insights I have gained through my work with Paul Gordon. It has allowed me to dance/speak from my heart like never before. Paul has an incredible ability to create change, physically and emotionally, so that qualities like balance and harmony take on a real presence inside oneself. He's terrific and I recommend him all the time." "I love having sessions with Paul Gordon. I've seen him in Cambridge and up in Eliot. Wherever he sees me, it feels safe and peaceful. It's great." "I came to Paul Gordon because of a chronic back pain and in the course of helping me with that, he helped my family with something even greater. My husband and I had been trying for years to have a baby. Paul noticed that a contraction in my pelvis might be playing a role in our lack of success. I was aware of the tightness but no amount of stretching, yoga or psychotherapy had helped. With loving gentleness and sensitivity, Paul helped me feel and eventually release the guarding. The result is that we now have a beautiful little boy. We can never thank him enough. Also, my back has been great – until last week. Maybe I should call?" "Paul Gordon’s integrity and depth, his understanding of human spirit and its relationship to biomechanics, are matched by his gifts as a teacher. I highly recommend him." "Paul's commitment to continually expand his knowledge, hone his skills and deepen his practice is an ongoing inspiration to practitioners everywhere. His reputation as one of our very best bodyworkers is well deserved." "I came to Paul because someone told me he was really good working with people's sore necks. He sure is. I sent my husband who has a bad back. Two out of two! But what really impressed us was how Paul worked with our three month old daughter. She had been suffering from constipation and what the doctor's called "colic." They said that "just give her a few months and she'll outgrow it." (We hadn't slept for weeks and weren't sure we could live that long.) Paul took one look at her, said that she had a "restriction around her sigmoid colon" and in ten minutes you could just see her relax. He barely touched her. That was the first decent night we'd had. We all slept! 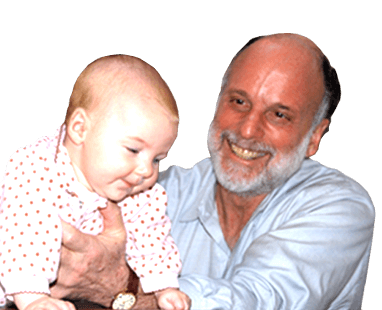 If your infant has things like colic or constipation, call Paul! He's great." Former President, Seacoast Mother's Assn.